There are a number of authors I don’t bother reading and would only read if there was nothing else available, but ‘completely avoid’ is a bit extreme. I think Patricia Cornwell would be one of them, unless she changes what she writes to something a bit less detailed and forensic. She’s a good writer and with other subject matter might be an OK for me. 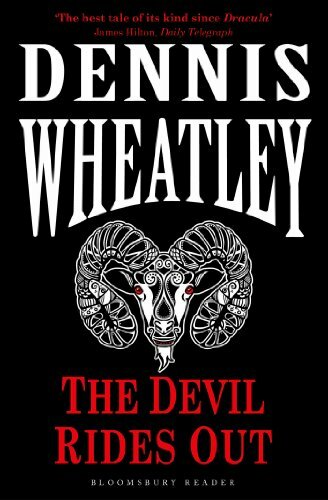 Dennis Wheatley is a writer I’ve no time for. I’ve only read a couple of his books, and those a long time ago. I thought them potentially exciting but too wordy to hold my attention and the attitudes he had are no longer relevant. I don’t see myself reading any Ian Fleming – spying as a subject doesn’t interest me, though I might have a go at a John Le Carré novel one day. I’ve seen the Alec Guinness portrayals of Smiley and enjoyed them, so I might like the books. I don’t believe in saying ‘never’. Just as my interests change over time, so do those of writers; someone whose work I don’t like at present may well start doing something I can’t wait to read.